Welcome to Braxton Automotive Group, Inc.
We are proud to announce our new Service Location for your Japanese and Asian vehicles! Offering full service just like our European location. We offer the same capabilities as your local dealer can for your Lexus, Toyota, Acura, Honda, Infiniti and Nissan. Braxton Automotive Group, Inc. has been serving Atlanta's Volvo, BMW, Mini and Land Rover owners since 1998. We have grown to be one of the premier independent service facilities in the Atlanta metro area. 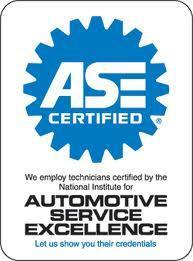 Braxton Automotive Group, Inc. was founded by Steven Braxton, a Bosch Certified and Master ASE Certified technician. Steven has 31 years of automotive experience, including extensive Volvo and BMW factory training. Along with Steven, Braxton Automotive Group, Inc. has an outstanding team of automotive professionals with over 100 years of combined experience. In addition to experience, Braxton Automotive Group, Inc. has a modern, well-equipped shop with the latest tooling, diagnostic equipment and factory technical information systems, including the Volvo Vida, BMW/Mini ISTA diagnostic systems and the Autologic Diagnostic system for Land Rover. Our vision at Braxton Automotive is to earn your trust and loyalty by providing exceptionalism at every level of your experience with us. We do this by providing you with accurate, advanced, and professional auto repair service in a friendly and welcoming environment. Call 404-367-4767 or click the link below for complete details.